The world we know has spawned another world. A parallel world of energy and light. A world where video game battles are real. Enter the world of TRON, the video game from Bally/Midway, based on the futuristic adventure motion picture from Walt Disney Productions. Journey now into a startling new dimension, where energy lives and breathes. A world inside the computer where man has never been before... Never before now. Walt Disney Productions has created this futuristic world inside the computer in their extraordinary feature film, TRON. Now it is possible to physically enter this new dimension by playing Bally/Midway's exciting new video game of the same name. The player becomes TRON, the mighty video warrior of the Electronic World, and must face all the challenges and dangers that await him in this world of electricity and light. The Electronic World is ruled by the tyrannical MCP and its strong armed warrior, Stark, who pursues TRON and attempts to destroy him. 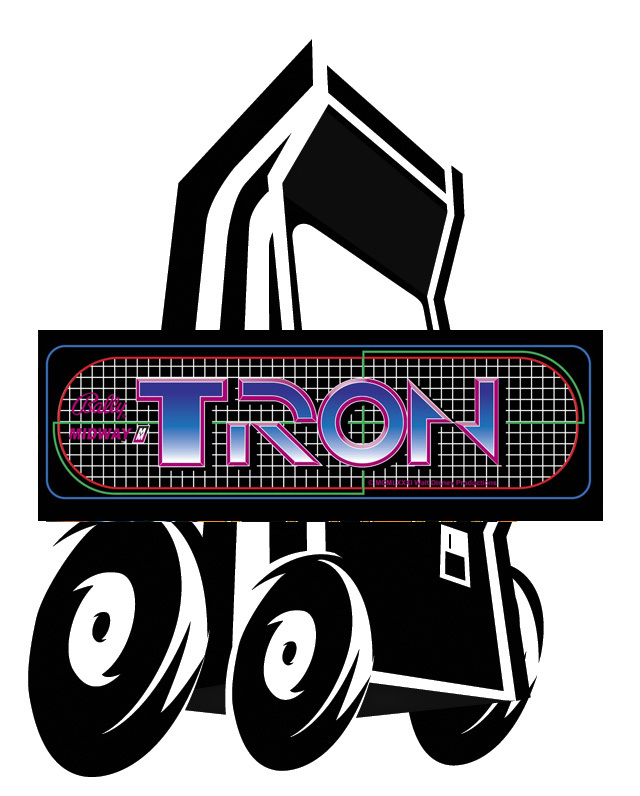 TRON must face the challenge of racing deadly light cycles, battle Stark's tanks, attempt to enter the I.O. tower for energy discs and ultimately try to defeat the powerful MCP. All this and more awaits the player who enters the world of TRON. H: 70", W: 24.5", D: 36"